Tomatsu is a leading manufacturer of electric, automatic and industrial vacuum cleaners specifically design for intensive cleaning. Tomatsu offers powerful industrial and commercial vacuum cleaners ideal for stationary and mobile use. It’s not just about powerful vacuum cleaners but accessories and cleaning agents that takes your cleaning experience to the next level. 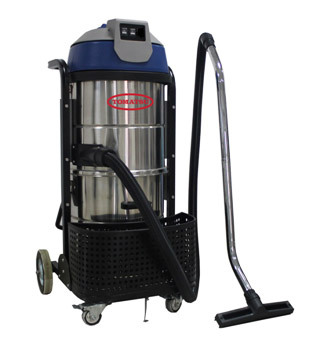 The commercial and industrial vacuum cleaners are designed specifically for meeting the huge industrial and commercial needs, therefore, we offer the heavy-duty vacuum cleaners having the huge capacities about 60Litres to 100Litres, understanding the big requirements of the big industries and the commercial plants. Our industrial vacuum cleaners are built to handle spilled oil, grease, liquids and dirt, and the mixture of both along it way. Just understand your needs and we will recommend the perfect vacuum cleaner that will change your experience with cleaning. We have an Inhouse design team who will customize the machines to suit your requirement. For more information visit the website www.metomatsu.com, or fill the form below for us to contact you back.